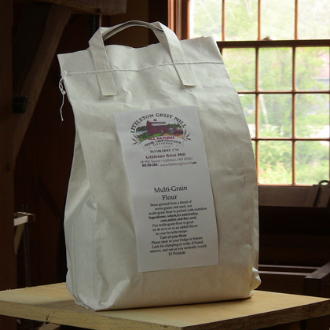 Our multi-grain flour is a blend of six whole grains which we stone grind in small batches. The grains are wheat, millet, flax seed, rye, barley, oat, and corn. This highly nutritious blend makes an incredible loaf of bread and can be added to your other favorite baking recipes to give them that multi-grain punch.